If you are looking for the best surround sound headphones that operate at 7.1 or 5.1, for gaming and movie watching purposes, you are in the right place. I'm going to review the best surround sound headphones that are available in the market and is within your price range. I'll also be covering budget headphones and also list some of the best wireless surround sound headphones, and help you decide the good pick for you. Before diving straight into the post, it's highly essential to revisit the basics, as if you are a newbie. Let us know what are surround sound headphones and what are all the things you need to take into account while picking your ideal pair. Below is the list of some of the best surround sound headphones. You have definitely come across the normal headphones that contain two earcups and speakers. The sound produced by these conventional headphones are not realistic and tend to be like originating within your brain. If you are watching movies, or playing games, the sound appears to be detached and feel like 2D. In the case of surround sound, the sound originated in the headphones sound realistic and 3D. You can determine the direction of the sounds coming. There are two types of surround sound. Let us go into these one-by-one. In the case of real surround headphones, multiple speakers are kept in each of the earpads, in different places. When a sound is played, the audio enters into the ear canal in different angles. Meanwhile, when the sound comes from different angles, the sound appears natural and not played in the ear. On the other hand in the case of virtual surround sound, the headphones have two speakers like other normal headphones. But they will mimic the surround sound by making use of various software, preamps or mix amps. These algorithms are responsible for creating a sensation of sound originating in different angles and direction. Most of the new surround sound headphones offer 5.1 and 7.1 sound technology, with the latter being the best. With these headphones, you can accurately determine the direction from which the sound is coming. This will be very helpful while playing games (like Call Of Duty) to know the enemy footsteps, the direction of shooting and sounds, and watching movies on your HD TV. As there is a dedicated driver for each of the channels, the sound will be crisp. The only downside is that the cost of the true surround sound headphones is higher, as they contain multiple speakers and thus drivers on each of the earpads. When you think of buying surround headphones, the first thing that comes to your mind is whether to go wired or wireless. Both has its own pros and cons. Wireless headphones are costlier than that of wired headphones due to the fact the good headphones are equipped with AptX encoding technology to transmit the sound signals via Bluetooth without any noticeable quality loss. If you are planning to use the surround headphones that you are buying for watching movies in front of TV, then wireless headphones would be comfortable for you roam around and watch the movie with true surround effect. However, if you are playing PC games or watching games on your Laptop or PC, wired headphones are enough. Make sure that the wire is long enough to meet your needs. In the case of wired headphones, the extension cable will always be there for your rescue. Noise cancellation or good isolation is required for any surround headsets. 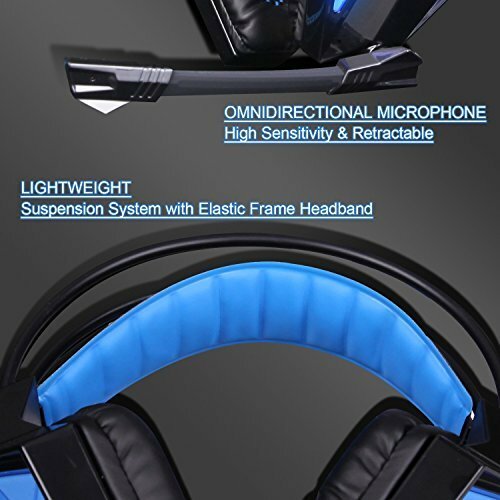 This is taken care in most of the gaming headsets where every detail of the sound is important. 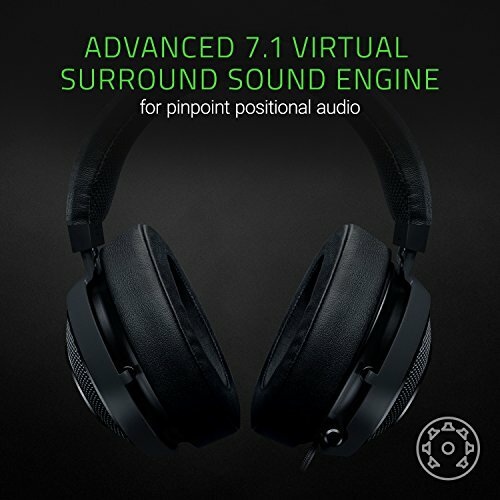 While choosing the best surround headset, researching about the noise cancelling or isolation effectiveness is essential and is needed for complete immersive audio experience. Reviewing some of the best surround sound headphones that are suitable for you. I've listed the best headphones in every category like wireless, wired, premium, budget, and for gaming. Hope you'll love the post. 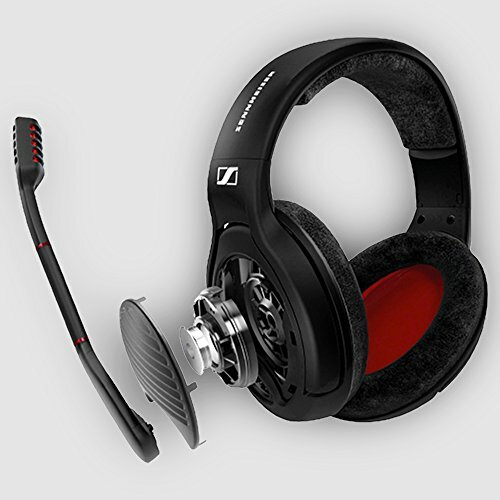 Being a Sennheiser product, this is by far the best surround headphones for gaming purposes. Specially designed by keeping gaming in mind, these headphones are the best bet for any gamers and even movie watchers for experiencing surround sound. As like other high-end surround headphones, this comes with Dolby 7.1 surround sound technology. This technology combined with Sennheiser Transducer Technology gives you crisp clarity to hear every detail in the game. 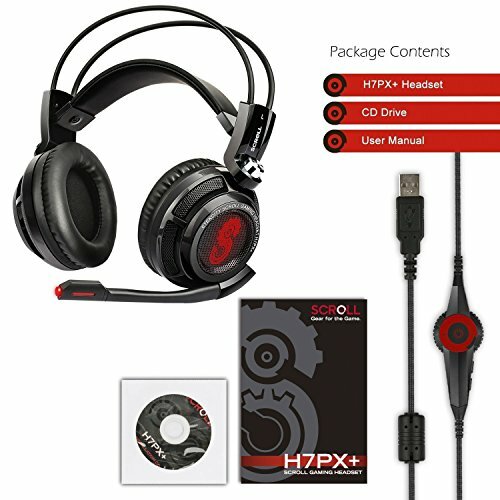 As these headphones designed for gamers in mind, it comes with a professional noise-cancelling boom mic offering you the best communication in game chat or in VOiP calls. Gamers tend to get lost in the game for hours together. The headphones are designed for maximum comfort. Those comfortable velvet ear cushions make sure that the cool air passes to your ears keeping you comfortable while wearing the headphones for a long-time. The headphone comes with E-sport mode, and it does a nice job of highlighting the critical detail sounds in the game like footsteps and gunshots with precise. The cord is 9.5ft long and is more than enough for any normal gamer. The cord comes with a button for toggling Dolby surround sound, which comes quite handy. The headphones come with USB port, making it the best option for PC gaming. Toggle button for surround sound! If you are a pro gamer looking for the best immersive gaming experience on the comfort side, Sennheiser PC 373D is the way to go. If you are looking for wireless alternatives for this gaming surround headphones then Razer ManO'War is the way to go. It is like a clone of Sennheiser PC 373D when it comes to quality, but wireless. If you are looking for a good affordable surround headphones especially for gaming, then LOGITECH G430 should be definitely your choice. It comes with Dolby 7.1 sounding technology, that provides you the best immersive gaming experience. With this technology, you can pinpoint the direction from which the sound is coming and it helps like a charm during the gameplay. You can hear the activities of the enemy, gun shots clearly and this pair assists you greatly in the game. The headphones block a heap of external sound greatly and help you completely immerse in the game, without giving a damn to the surroundings. The bass is deep and explosive. When you are hearing to music, I strongly recommend you remove the default adapter and connect to 3.5mm jack or disable surround sound altogether. Comfort is the most important thing in the case of gaming headphones because you need to wear the headphones for hours together. The earpads are covered with sports performance cloth that can be removed and washed if needed. 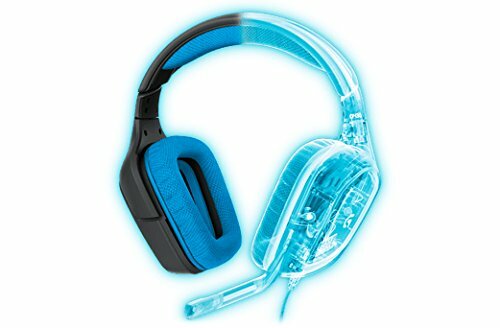 The whole headset, especially the earcups are made extremely lightweight so that you can barely feel the headset while wearing it after a certain time. As a headset, it also comes with noise cancelling microphone that seldom picks the background noises, and makes your voice to be heard in game chat or calls crystal clear. The mic is unidirectional making it further exceptional at noise cancellation. The connectivity is USB making it perfectly suitable for PC,PS4, and XBOX. It comes with inline controls for muting mic and also the volume adjustment. If you are not ready to give up the experience, and want an affordable headphone this is the way to go. Gamers always love high-performing tech gadgets whenever possible. They are not ready to sacrifice their gaming experience. Keeping this in mind, Razer has developed the best surround sound gaming headset especially made for gamers. It comes with a surround sound audio engine for providing real-life immersive sound experience. Another advantage is that the headset comes along with Razer's powerful Synapse configuration software, that allows you to setup the configurations for your each game or software. This particularly helps you a lot if you play lots of games with varied plots, and need personalization more often. The software also helps customizing the LED lighting, that this headphone comes with. The headset also comes with fully retractable boom microphone, and that fairly good at noise cancelling and quality is good. You can adjust the volume and mic on/off with inline control buttons. Although the sound quality is not audiophilic, the quality is excellent. Normal users with no audio engineering and mixing experience, notice no difference between these headphones and the high-end audiophilic headphones. You can hear to every detail sound of the game play. When it comes to Razer headphones, the design is always great. The headphones are visually attractive with nice green branding on it. As a complementary feature, these headphones also come with Chroma lighting. The headphones are quite carryable while travelling. The headphones are comfortable, for longer durations. The earpad cushions are very comfortable. If you sweat a lot while gaming, the earpads may become hot for you, that would be the downside. As long as you don't have abnormally large heads and ears, this would not become a hassle. The best design and appealing look. If you love customization options to play with, and are not willing to compromise with the quality of the sound, these headphones are the way to go. This headphone is made specially by taking cost-efficiency in mind. For the price, you can't expect this quality of surround sound headphones. The quality of sound is amazing. The headphones are designed so that you'll be isolated completely from the surrounding noises and this just makes the surround sound experience outstanding. For the price, I was surprised by looking at the quality of the playback. The blues (favorite color for most of the), stand out and looks amazing. The blue LEDs lights add to the overall looks for the headphone and is absolutely stunning in low lights. It also comes with a mic, and that turns out pretty clear. As the mic is unidirectional the recorded sound is pretty good. But you can't expect the mic quality to be exceptional like other high-end headphones. But for the price it's great. As this is headphone made for gamers, by gamers, utmost focus is made on comfort. The earpads are comfortable and soft. Also, it rests comfortably on the ears without pushing your ears down. As the overall design is quite lightweight. It is a pleasure to wear. If you are an avid gamer looking for budget headphone go for it. If you are looking for simply the best surround headphone for the price under $50, just close your eyes and buy these headphones. With 7.1 surround sound system in place, it provides you a totally unmatched audio experience. The surround sound works perfect, and with this, you can hear sounds from all the angles of the gameplay which will be very helpful for competitive gamers. With a little bit of tweaking in settings and configurations on your PC, the quality of the sound can be much more enhanced to the pro level. The bass level is excellent, and you can feel the vibration of shooting and explosions right in your skull! Outside gaming use, for music it works good as well. But if you are looking to buy this only for listening music. It comes with noise isolation earpads that do a good job of getting rid of external noises, that important for immersive surround experience. As the earpads are made of soft cushion, the headphones are greatly comfortable to wear. It can comfortably stay on your head for hours altogether without causing stress on your head. It also comes with a mic, and the audio quality of the mic is exceptional. The only downside is that, as that mic is omnidirectional it tends to pick up sounds from all the direction. Unlike other headphones I've mentioned in this post, the mic is not noise cancelling. Good budget surround headphone with great features for pro gamers. All of the surround sound headphones that I've mentioned works great for also watching movies. But the fact is that there are no surround headphones especially designed for watching movies, as most of the gaming surround headphones work out pretty well for watching movies too. I've tried my best to cover the best surround sound headphones in every budget, deeply. Good post, Akshay. Very well written. LOGITECH G430, are there any good alternatives. I mostly play FPS games like COD. Directional sounds are crucial for me.